Janet McMurray - Looking For Names of Miners in Auchinleck in 1840s to 60s. Also any Information On Frank Lesley London? Becki Gomersall - I have family members that worked down the pit, what was life like for them? Shannon Siddons - Any Information, Michael William Siddons Worked At Bilsthorpe Pit? K. Gore - Any Info. Ernest Gore, killed in mining accident on 15th Dec 1953, Bentinck Colliery? Subject: Looking For Names of Miners in Auchinleck in 1840s to 60s. I wonder if you might have access to the names of miners in Auchinleck in approximately 1840s, 50s or 60s. I am researching my great grandfather Moses Severn who was Manager of a pit in Ilkeston, Trowell Moor, according to the 1881 census. I know that he was, unusually for a manager, a union man and seems there is a probability he was dismissed in 1888 for union activity. He was a member of the YMA and in 1888 moved suddenly to Pontypridd where he worked at the coal face and then went on to become the secretary of the SWMA. I am looking for records from the Ilkeston pit to see if I can find out exactly why he was dismissed. How can I try to find these records? Any point in searching at this stage? Hi, I am trying to confirm my grandfather worked at Ollerton colliery, I cannot find the archives from the NUM, apparently they were lost in the strike. Iron Mountain is no help. Can you point me in the right direction? I understand you are very busy, but any advice would be appreciated. His name was John Alfred Hope, D.O.B 9th December 1905 and I believe he was at Ollerton colliery in 1964. My Great Great Uncle Samuel Spruce was awarded "The Albert Medal of the second class" for bravery in the Baddesley (Atherstone, Warwickshire) pit explosion on 1 May 1882. I would be very interested to hear from anyone who might have any information on Samuel Spruce. He was a mining engineer and I have reason to believe he was a member of the Geological Society, and carried out surveys for them in Canada. I also think he held a position of Mayor or Alderman. The photo shows him in his robes but they may not be that of a mayor but something akin. I hope your readers may be able to help. 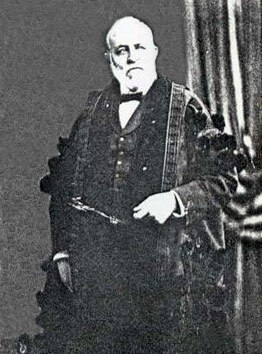 SAMUEL SPRUCE, mining engineer, Tamworth, on hearing of the fire at Baddesley Colliery, and that nine miners were entombed, hastened to the spot, in the hope that his long and varied experience might be of service. On arriving at the pit top, he found that an explosion had occurred, that many explorers were burned, and that Mr Dugdale, with others, was still in the mine. After receiving an account of the accident from Mr Smallman, he immediately volunteered to go down, and with Mr Stokes organised and assisted in the first party which entered the pit after the explosion, and proceeded along that perilous route already described until Mr Dugdale was found and rescued. 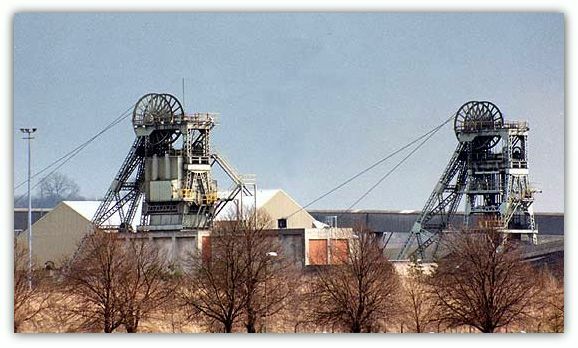 Having no personal acquaintance with the workings of the colliery, being far advanced in life, and knowing so well the imminent danger incurred by anyone entering the mine he displayed an act of conspicuous bravery, which her Most Gracious Majesty the Queen has recognised by conferring on him the decoration of "The Albert Medal of the Second Class". Joyce Lowe E Mailed you about Samuel Spruce being her Great Grandfather he was also mine, have you her E Mail address or can you give me any information about him? Correction - William James London, Creswell Disaste 1950. Also any Information On Frank Lesley London? William James London (59), packer, 4, Appletree Road, Stanfree, leaves a widow, one son and one daughter. He was born in the house next door, 2, Appletree Road, where his parents, Mr. And Mrs. F. London, kept a general store, now run by Mr. Brough. 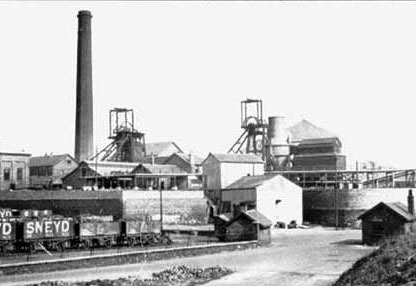 Mr. London, whose brother at Creswell was also killed in the disaster, had worked at Oxcroft and Whitwell Collieries, and had been at Creswell pit for four years. He was a member of Oxcroft Colliery Institute and of the Miners' Club at Shuttlewood. He had been employed as a collier for 45 years. I hope very much that you can help me with another matter relating to William James London. I believe his son was named Frank Lesley London. However, I have not been able to find evidence to link them. Is the son of William James London named anywhere on your site. Do you Know of anywhere else where I can find the evidence? If you could help with this it would be really appreciated. Subject: I have family members that worked down the pit, what was life like for them? You could try 'I was a Miner' and 'Thirty Years Man And Boy' and 'Miners and their families' a series of emails by ex-miners. My grandfather, Samuel Hughes, died in a pitfall at Sneyd in 1949. I would like to hear from people who may have known him or know if he worked on the day of the disaster. He lived at 29 Leigh Street, Burslem and my father Derek was the second youngest of five children. Dad was born in January 1942. Subject: Any Information, Michael William Siddons Worked At Bilsthorpe Pit? Hello my name is Shannon Siddons. I don’t no whether you might know the man but my granddad (Michael William Siddons) worked at Bilsthorpe pit and has recently died. I was wondering if you had any old photographs of my granddad. Subject: Any Info. Ernest Gore, killed in mining accident on 15th Dec 1953, Bentinck Colliery? I believe that my paternal grandfather Ernest Gore was killed in a mining accident on 15th December 1953 in Bentinck Colliery. I can find no record of this on your site and he is not listed on the miners roll of honour. His wife received industrial injury pension from the mines until her death in 1972.